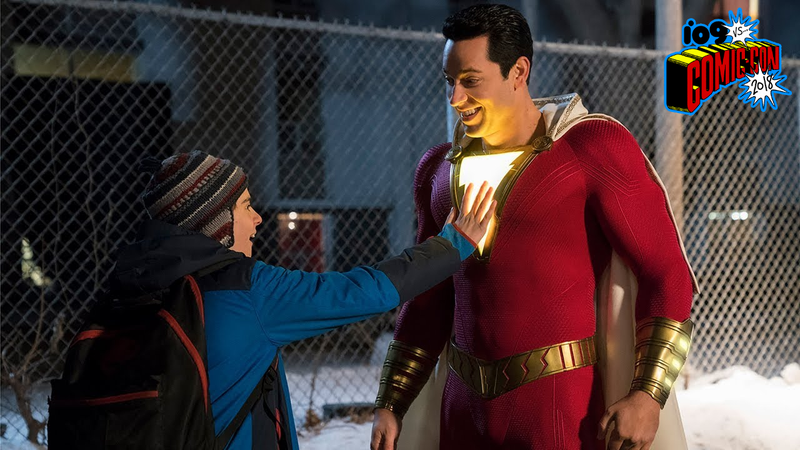 If you’re unfamiliar with the classic superhero and/or not been following io9's coverage, Shazam the superhero is, in fact, a young boy named Billy Batson (played by Asher Angel), who transforms into an adult superhero (Chuck’s Zachary Levi) when he yells “Shazam!” As the trailer shows, Billy is totally down with his new powers—and his new age. Directed by David F. Sandberg and starring Zachary Levi, Shazam! also stars Mark Strong as the villain Dr. Silva, Djimon Hounsou as the Wizard that grants Billy his powers, and more.